Everyone adores Cornwall, whether you have idyllic childhood memories of holidays there, are a celebrity chef fan (think Nathan Outlaw and Rick Stein) or just want to visit some of the spectacular landscape that made Poldark so popular. Its 300 miles of coastline incorporate everything from quiet coves to towering dunes, making it a truly breathtaking part of the world to visit. With the New Year fast approaching, one way of beating the post-festive blues is to book next summer’s holiday. And if you’re looking for holiday cottages, Cornwall certainly provides plenty of choice. Self-catering accommodation, in particular, means greater freedom and privacy for your break than you get with the alternatives. In Ancarva, we offer one of the finest luxury holiday cottages Cornwall has to offer, in an area of outstanding natural beauty on the Rame peninsular and within striking distance of eateries, shops and with plenty of things for the whole family to do. Kingsand, Millbrook and Cawsand are all nearby. 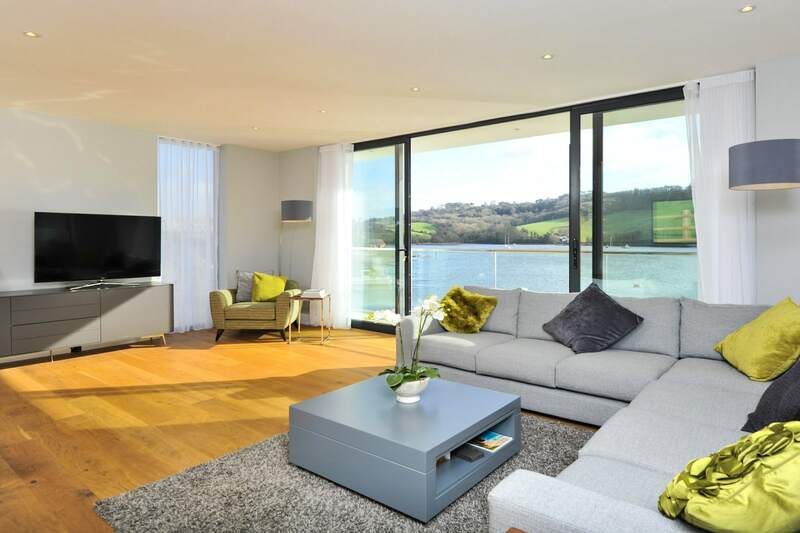 This is a four-bedroom, modern family holiday home with great views across the lake to Mount Edgcumbe Country Park. Fallow deer roam in this stunning landscaped park, while there are many fantastic coastal and woodland walks right on the doorstep. You’ll also have the chance to visit Mount Edgcumbe House while the South West Coast Path goes through this park for around nine miles. Ancarva (an old Cornish term for moorings) is one of those holiday lets Cornwall visitors love and return to time and time again, combining every modern comfort with the feel of a traditional Cornish cottage. There are views over the water from every window in the property, along with direct access to the Tamar Estuary from its sheltered and peaceful south-east facing spot. A new build completed in 2016, open-plan Ancarva has everything you need to make your time in Cornwall an incredible one. There are stripped wooden floors, elegant bathrooms, a stunning kitchen, and a terrace for al fresco dining overlooking the water. Above all, there’s a very relaxed feeling of spaciousness. The five-star cottage sleeps eight in four double rooms, and there’s a family bathroom plus a couple of en-suite wet rooms. As you can imagine, with such a popular holiday let, the most popular dates get booked up very quickly. Plan your next summer holiday in Cornwall now – and get a head start on beating the January blues! Ancarava is a unique 5* holiday home located on the Rame Peninsular in Cornwall very close to Millbrook, Kingsand and Cawsand. A fabulous holiday home offering a front-line waterfront experience in a sheltered, south-east facing position with both a private slipway and pontoon giving direct access onto the Tamar Estuary for three hours either side of high tide. Ancarva is a great alternative to a traditional Cornish cottage with the benefits of contemporary modern living.